Okay I know I already posted this over at my own blog, but I just had this urge to post it over here! I really love this song.. but it reminds me of KE$HA‘s ‘TiK ToK’ that makes me think 2PM was going to cover her song. Anyways Yoon Eun Hye is featured in this song for about… 10-15 seconds…? Blooeyblooh :Oh damn, this song !! is like love <3 It doesn’t sound anything like the american song with the same title lmao. I just love this so much. The beggining, with the beats omgggg. Everyone sounds so good. I love Chansung’s voice. The chorus isn’t my fave though. I love the other verses though. I love Yoon Eun Hye’s voice omg. It’s so soft but so nice at the same time. She should totally go back to signing too. I wish she sung more though. Omggg the whole song is so good and addicting ! 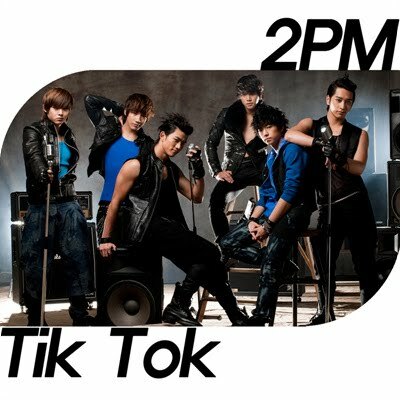 My fave 2PM song by far.